The Nigerian Civil Aviation Authority has threatened to sanction airline operators who engage in charter operations with unauthorised permits. 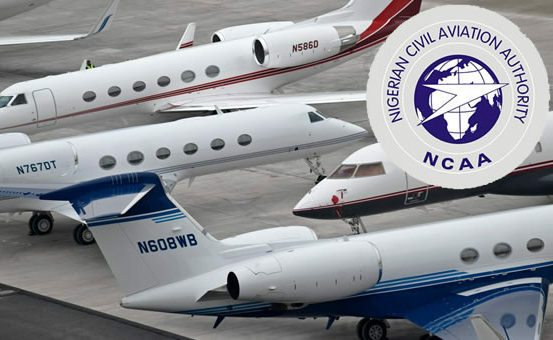 “By this, any operator caught engaging in such unauthorised services will have its Air Operator Certificate suspended or revoked,” the NCAA said in a statement signed by its General Manager, Public Relations, Sam Adurogboye, on Sunday. The NCAA said the general public should be reminded that holders of Air Transport Licence and Airline Operating Permit with valid Air Operators Certificates were the only authorised operators to carry out charter operations. The regulator stated that this was in line with its statutory responsibilities of safeguarding the interest of the general public and that of the investors in the aviation sector. According to the agency, the Nigerian Civil Aviation Regulations (Nig.CARs) 2015 Part 18.2.3.1. states that no person should use any aircraft in Nigeria for hire and reward in public transport category to provide non-scheduled or charter air service unless such a person holds an ATL or Airline Operating Permit issued by the authority. It added that for the purpose of verification and authentication, the list of current holders with appropriate authorisation to carry out charter operations could be found on the NCAA website. The NCAA said, “It, therefore, follows that any members of the public transacting business with any unauthorised operators will be doing so at high risk as such operations may not have valid insurance cover.